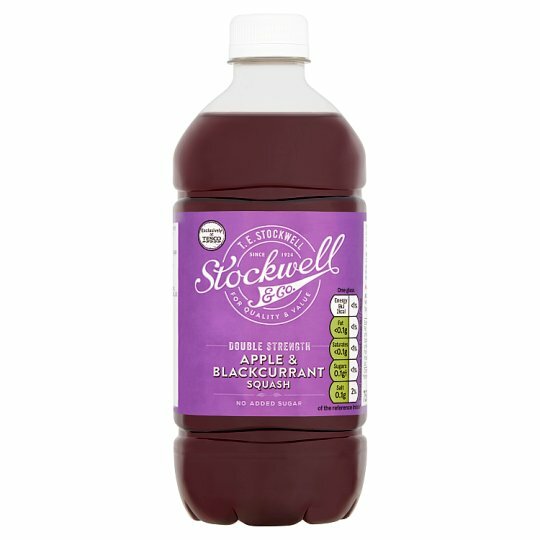 No added sugar apple and blackcurrant concentrated juice drink with sweeteners. Dilute to taste. INGREDIENTS: Water, Apple Juice from Concentrate (5%), Citric Acid, Blackcurrant Juice from Concentrate (1.0%), Acidity Regulator (Sodium Citrate), Colour (Anthocyanins), Flavourings, Sweeteners (Sucralose, Acesulfame K), Preservatives (Potassium Sorbate, Sodium Metabisulphite). Shake well and dilute to taste (one part squash to nine parts water). Dilute with extra water for toddlers.